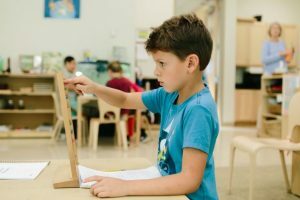 The Elementary curriculum at Quest (grades 1-6) presents children with a full range of educational disciplines, including mathematics and language, as well as the arts, sciences and social sciences. The materials and exercises for each discipline area help children build a conceptual order, and classification materials associated with each discipline help children construct a mental order. The elementary-aged child is full of awe and wonder about the world in which he lives. 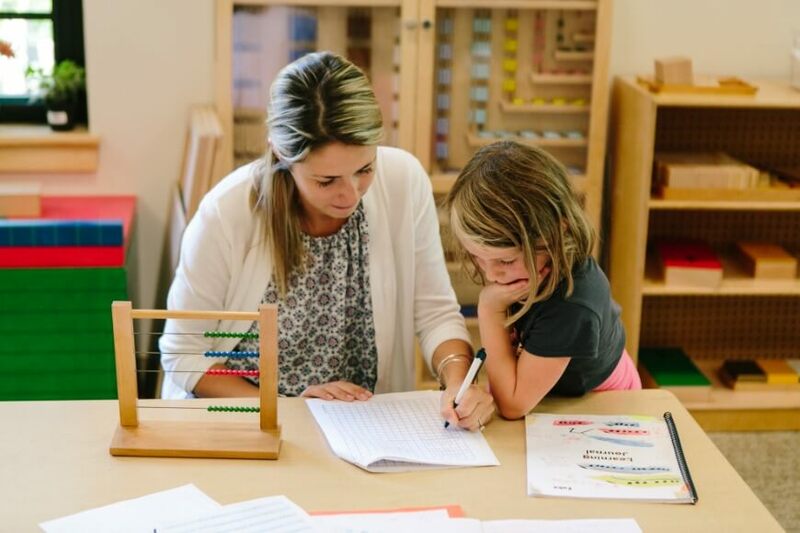 The Montessori elementary program inspires a love of learning by going beyond the usual goals of skill development and addressing the development of the whole person. 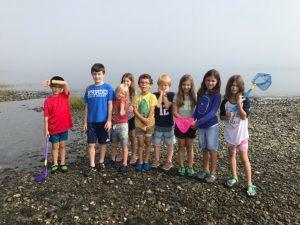 Children who complete our program have a clear understanding of the natural world, of human knowledge, and of themselves. 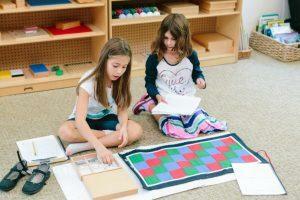 The elementary curriculum uses Montessori’s Five Great Lessons as its major themes. The Five Great Lessons move logically in sequence from the beginning of time through modern day. These overarching themes include: The Story of the Universe, The Timeline of Life, The Story of Language, The Story of Numbers, and The Timeline of Civilization. 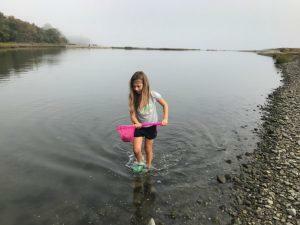 Because of its logical sequence, Montessori elementary education demonstrates how each particle, each substance, each species, and each event in the universe did not just “happen”: everything has a purpose and a contribution to make in the development of our universe. With this philosophy in mind at Quest, we want the child to feel a sense of interconnectedness and gratitude about the world in which he lives. It is this understanding which leads to an intrinsic love of learning and contribution.  Rather than following the traditional approach of presenting facts as belonging to individual subjects, we use the Great Lessons to present a holistic vision of knowledge, building the subject skills into each topic or theme. Reading, writing, geography, science and history are all studied in terms of these larger, cultural contexts. We take the children from the whole to the parts and back to the whole again. Learning to read is a major focus of the Lower Elementary program; reading and writing skills are developed in every area of the curriculum. While immersed in The Story of the Universe, for example, children read creation myths from around the world. They write and illustrate their own creation stories. They study the concepts of time and large numbers. In art, they depict the Big Bang using pastels. In science, they learn about the three states of matter and other topics from astronomy and earth science. The Great Lessons, therefore, provide a meaningful context in which to develop basic skills. The Story of the Creation of the Universe describes how minerals and chemicals formed the elements; how matter transforms to three states of solid, liquid, and gas; how particles joined together and formed the earth; how heavier particles sank to the earth’s core and volcanoes erupted; how mountains were formed and the atmosphere condensed into rain, creating oceans, lakes, and rivers. From this story, students are introduced to lessons in physics, astronomy, geology, and chemistry. The Timeline of Life explains how single-cell and multi-cell forms of life became embedded in the bottom of the sea and formed fossils. It traces the Paleozoic, Mesozoic, and the Cenozoic periods, beginning with the kingdom of trilobites and ending with human beings. The teacher indicates on a time line where vertebrates began, followed by fish and plants, then amphibians, reptiles, and birds and mammals. 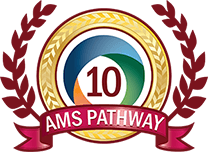 This lesson is the basis for lessons in chemistry, classification of animals and plants, care and requirements of different animals, and their interrelationship with an ecological system. 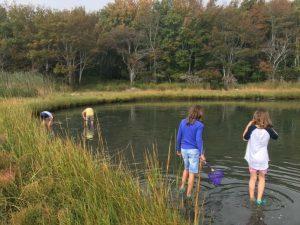 Students are introduced to formal scientific language of zoology, botany, and anthropology. The Story of Language describes the origin, structure, and types of writing and speaking. It begins with a discussion of the Egyptians, who had two kinds of symbols, one for ideas and one for sounds. The story goes on to describe the Phoenicians, who used the Egyptian’s sound pictures but not their idea pictures. Next, it describes the contributions of the Hebrews, Greeks, and Romans. From this lesson, students use grammar materials, which help them examine how language is put together, and refine capitalization and punctuation. Students are introduced to the origin of English words from other languages, the meanings of prefixes and suffixes and different forms of writing such as poetry, narrative, and plays. Older children may study Egyptian hieroglyphics or American Indian picture writing. The Story of Numbers emphasizes how human beings needed a language for their inventions to convey measurement and how things were made. The story describes how the Sumerians and Babylonians had a number system based on sixty, which is the reason for our sixty-second minute and sixty-minute hour. Greek, Roman and Chinese numbers are introduced. The story describes how our Arabic numerals are similar to numbers found in a cave in India from two thousand years ago. These Indian numerals had something that no other number system had, the zero. This story is the basis for the children’s learning of mathematics, which is integrated into all studies. For example, large numbers are needed in measuring time and space in astronomy, negative numbers are needed when measuring temperature changes; triangulation is needed to reestablish property boundaries after the Nile flooded ancient Egypt. The Story of Humans/Timeline of Civilizations introduces human beings and their unique endowments of intellect and will. The aim is for the children to imagine what life was like for early humans. This lesson is the basis for lessons in prehistory and the emergence of ancient civilizations. Students are introduced to an analytical tool to compare cultures. They learn how climate and topography influence culture and political geography. In the Upper Elementary class, students study the fundamental needs of all humans. This is the basis for their continued study of world history and world cultures, including the history of the United States. 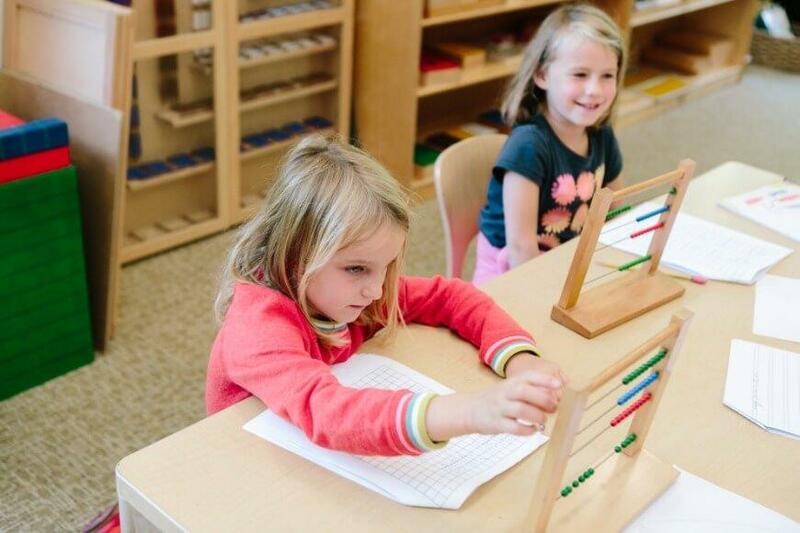 The Montessori mathematics materials and manipulatives are widely acclaimed and used worldwide in both public and independent schools. In the Lower Elementary program, these materials are used to provide the child with concrete visualizations of the four basic operations, algebraic concepts, and an introduction to fractions and geometry. The use of these materials in small group lessons allows each child to progress at his or her own pace. Hands-on materials are used in every other aspect of the curriculum as well. There are materials for the study of language and grammar, scientific classification, geography, and much more. 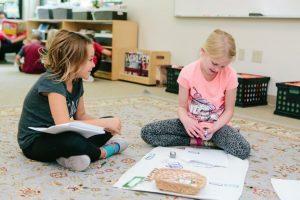 Elementary students are encouraged to explore topics that capture their imagination. As the mind, will, and self-discipline develop, it becomes possible for the children to undertake ambitious projects requiring the integration of knowledge from across the curriculum. Students often work together, using well- developed collaboration skills. The Upper Elementary teacher then becomes more and more a consultant to the children, helping them to organize and find resources for multi-faceted projects.